Norway is one of the most expensive countries in the world, but on Sunday, thousands in its capital city heard about something that’s free. That “something” is called salvation, but what exactly does that word mean for our everyday lives? Kashindi Tundwa took a minute to unpack it. For her personally, it means a clean slate, a fresh start, she said. It means forgiveness. 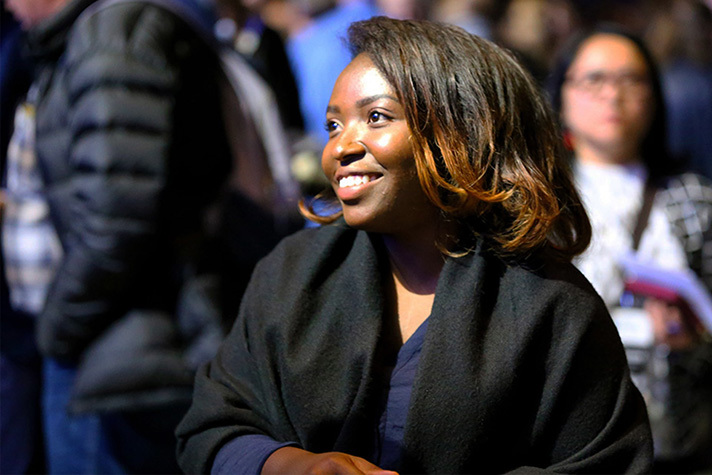 Sunday wrapped up the two-day Håpets Festival (or Festival of Hope) with Franklin Graham in Oslo, but for many like Kashindi, the best part is just beginning. “No one else has your DNA. 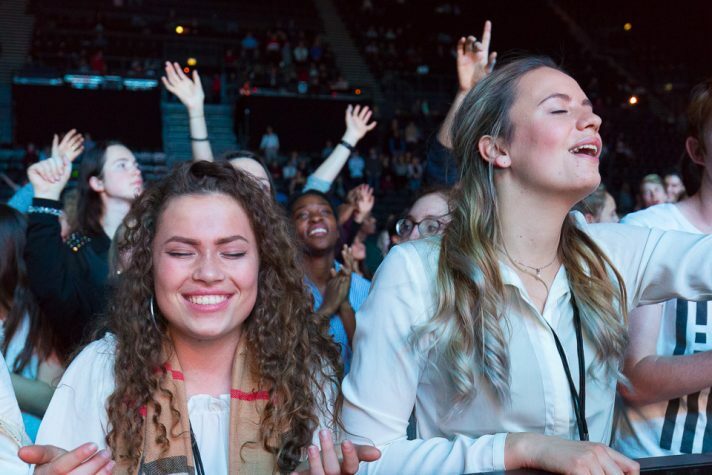 … You’re unique,” Franklin Graham told around 3,200 people gathered at Oslo Spektrum arena Sunday. And God loves every one of them, he said. Over 7,500 people attended the two-day Festival, with more than 250 responding to Christ. 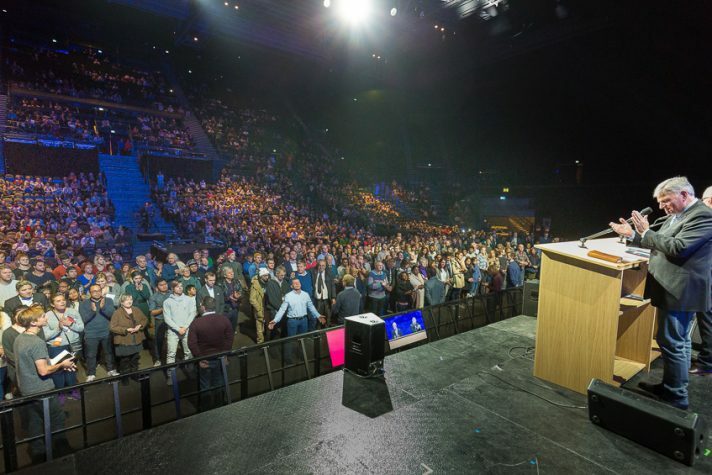 “It has been very revealing to me,” she said as she stood just in front of the stage at the Spektrum Oslo arena. She spoke about Franklin’s “short, straightforward” message on sin and God’s grace, and said she needed to repent—to turn away from—the sin in her life. “I really needed this tonight. I feel like a new person,” she said. Kashindi recently moved to Oslo and doesn’t yet have an established Christian community there. She also works weekends, which makes it difficult to attend church. And without the regular focus on God, she said, it can be easy to turn attention to the temporal, material things in life. “I really needed this tonight,” Kashindi Tundwa said during Sunday’s Festival of Hope. She hopes to establish community with other Christians in Oslo. As a leading exporter in seafood and petroleum, and with its capital city ranked No. 1 for quality of life just five years ago, Norway enjoys many comforts and luxuries. The next purchase may satisfy for a moment, but what’s it all for? None of those things can follow you to the grave. It’s been nearly four decades now since Billy Graham last preached in Oslo, but the message of something more lasting, something of eternal significance, was the same. The main point has always been this: that a one-on-one relationship with Jesus Christ is the only thing that fills the void in the depths of the soul. And that knowing Him personally doesn’t just mean eternal life with Him in heaven but also His guidance throughout life’s ups and downs. 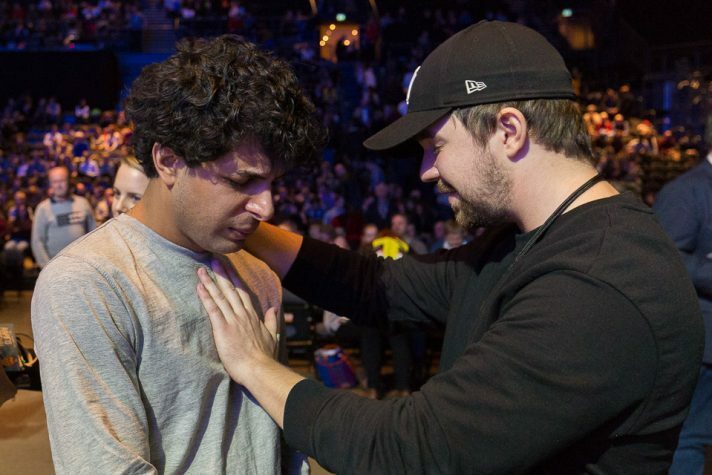 Aram Tamasebi, 29, rededicated his life to Christ Sunday. He talked to 23-year-old Andrei Lupascu, a counselor who prayed fervently over Tamasebi. “I am so happy for you,” Lupascu told him. Lupascu is from Austria and is in Oslo for missions. The two men connected on Facebook, and Lupascu invited Tamasebi to his church. During one Billy Graham Crusade in the late-70s, 19-year-old Arnold Seglem was invited by a friend to a nearby satellite location in Kristiansand, Norway, where the Crusade would be broadcast. “I wasn’t a Christian at that time, but I made a decision under that meeting,” Arnold said. At the end of the Crusade, Billy Graham invited people forward if they wanted to begin living their lives for Christ. Arnold remembers hearing “Just As I Am” playing. In the past 40 or so years, Arnold has been involved in church, bringing up his family to know Jesus and acknowledge Him as the holy God He is. As a retired teacher, Arnold has worked regularly with youth. 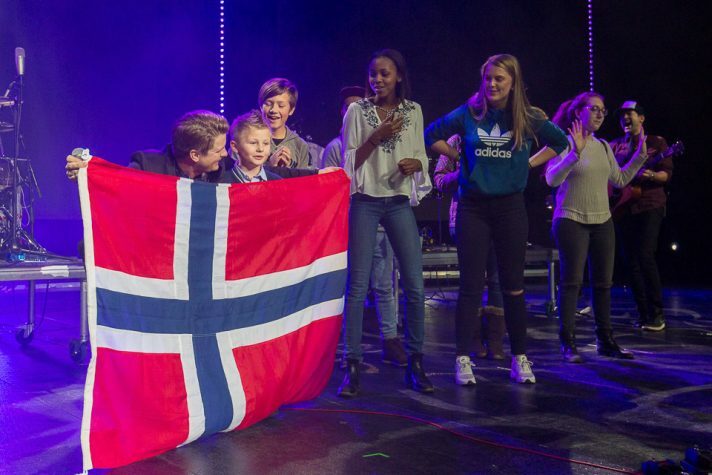 Singer Josh Havens of The Afters led the crowd in the Norwegian national anthem with help from some backup singers. Now, a couple of generations later, he was excited to hear about Billy Graham’s son coming back to Norway. “Our country is not going in the right direction. There’s a lot of people that need to hear about Jesus,” he said a day before the event began. Ultimately, Franklin Graham told Sunday’s crowd, the desire for more is insatiable without God. That’s what Kashindi has found. She became a Christian about eight years ago, but is determined to realign her life again, to focus on what really matters in the long run—the condition of her soul and her relationship with God. She wants to find a church, join a small group and see if she can get Sunday mornings off work. Earlier in the evening, Franklin weaved analogies from the story of Zacchaeus throughout his message. He explained the Bible story, how Zacchaeus wanted to see Jesus as He passed through the city, but the crowd blocked his view. “What’s your obstacle tonight, preventing you from coming to Christ?” Franklin asked. Zacchaeus was a short man, Franklin continued, so he climbed a tree to see over everyone else. Going back to Zacchaeus, Franklin read how Jesus called out to Zacchaeus by name. “Jesus knows your name,” Franklin assured every single person sitting in the audience. Soon after, lines of people made their way forward to call Jesus their Saviour and their God. As the house lights in the arena came on and the seats cleared, hundreds filed out into the crisp nighttime air, parting ways on the taxi-lined streets surrounding the building. They may have gone out the same doors they came in, but many were leaving very different. No one is worth more praise than Jesus Christ.